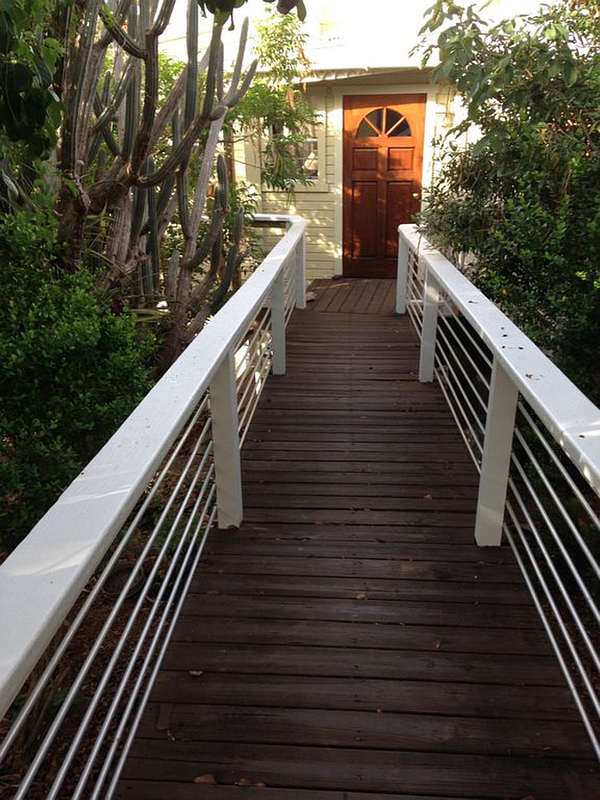 Spectacular View and Walkable Beach Access. 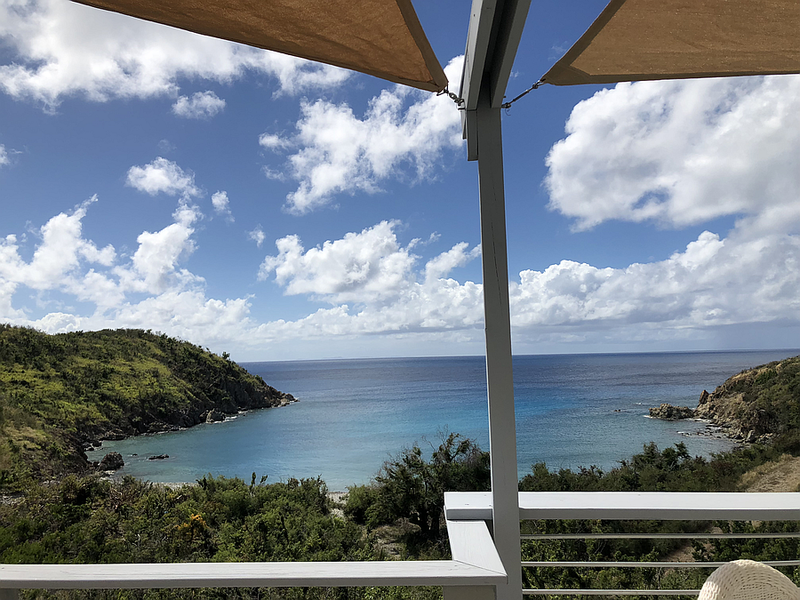 This Caribbean vacation rental offers unobstructed views of the Caribbean Sea and surrounding St John, Virgin Islands National Park Lands. 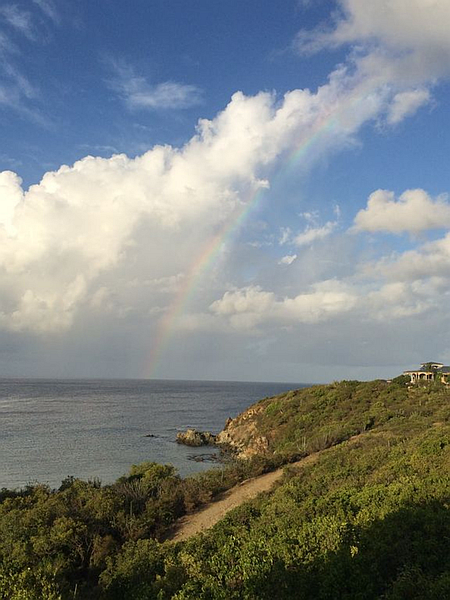 For those who love off the beaten path locations where nature can be savored. No road noise – no light pollution – a canopy of millions of stars at night. 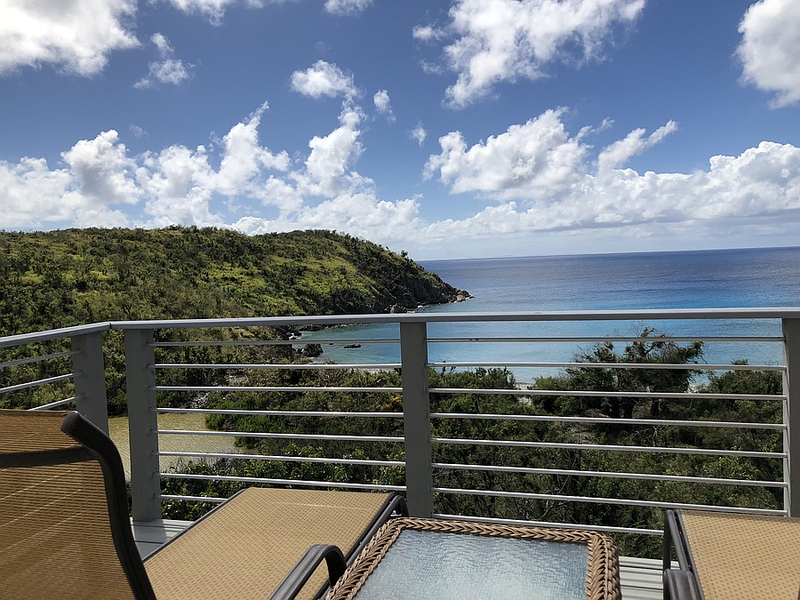 Kiddel Bay Cottage has two separate levels; the upper level named the Perch, and the lower level named the Deck. 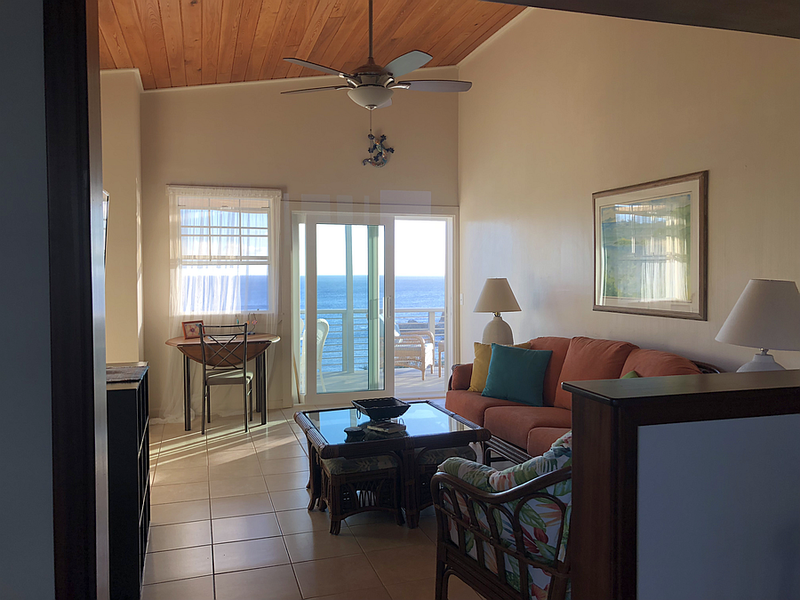 Each unit has a full kitchen, living room, 2 bedrooms, two full baths and lounge deck with incredible views. Each has their own separate entrances but easily accessed by exterior steps if desired. The Perch (upper level) has a king bedroom and a twin bedroom — the two twin beds may be combined into a King upon request. The Deck (lower level) has two queen bedrooms and two bathrooms. The Cottage is a great place to relax, be inspired, and recharge! 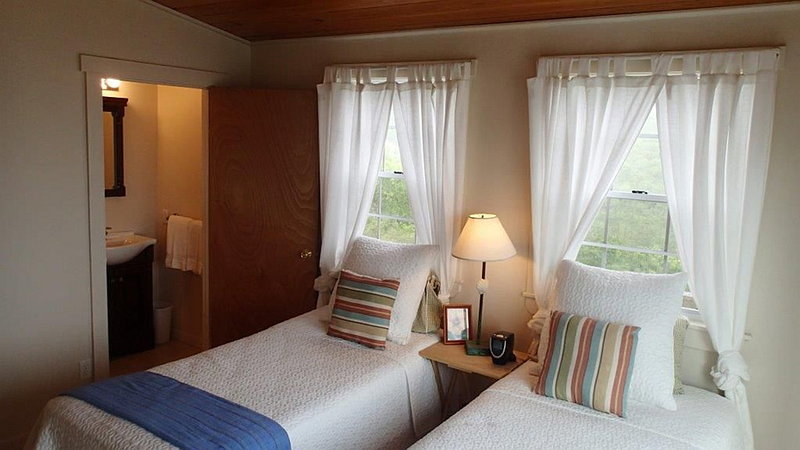 Kiddel Perch-prefect getaway for the nature lover! The water can be heard from all rooms. 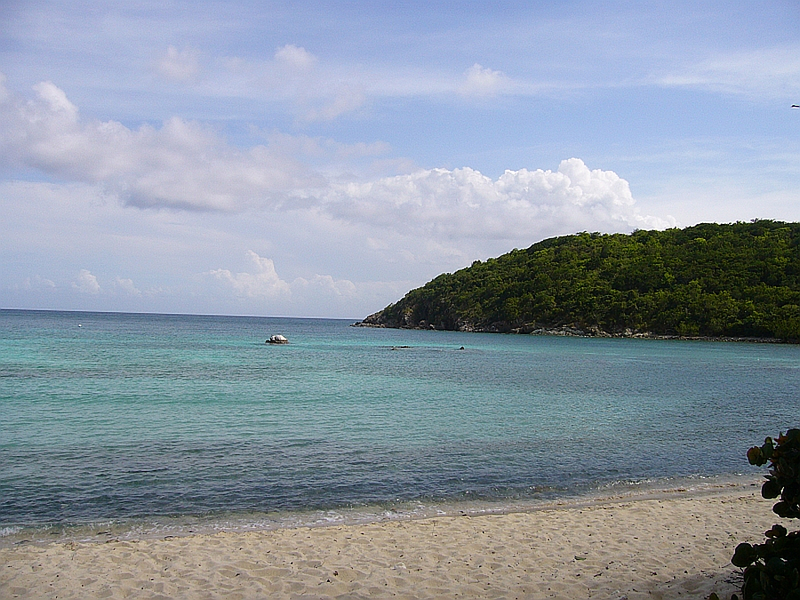 Some of St. John’s best snorkeling in the bay below and is only a three-minute walk. 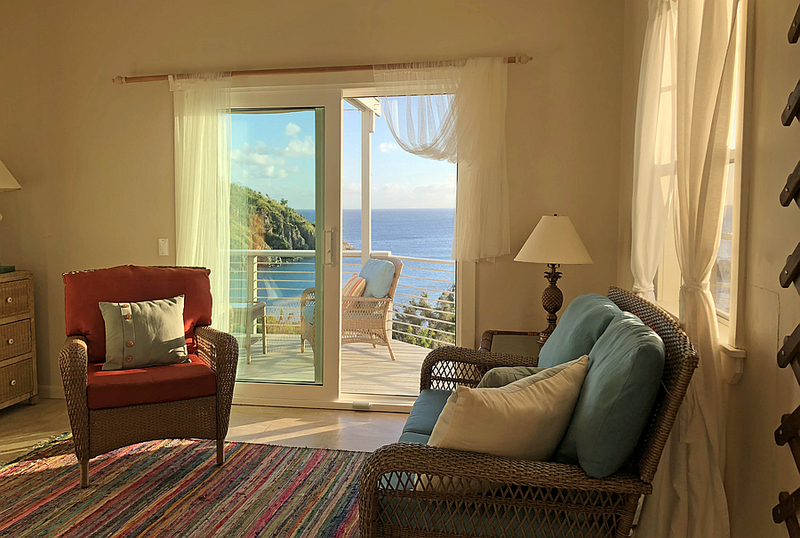 Salt Pond is a fifteen-minute walk from the Perch and Lameshur Bay is a ten-minute drive. A great place to relax, be inspired and recharge. *For 1-4 guests, you will have the choice of the upper or lower level based on bedroom type preferences. While the other level will not be accessible, you are ensured complete privacy. 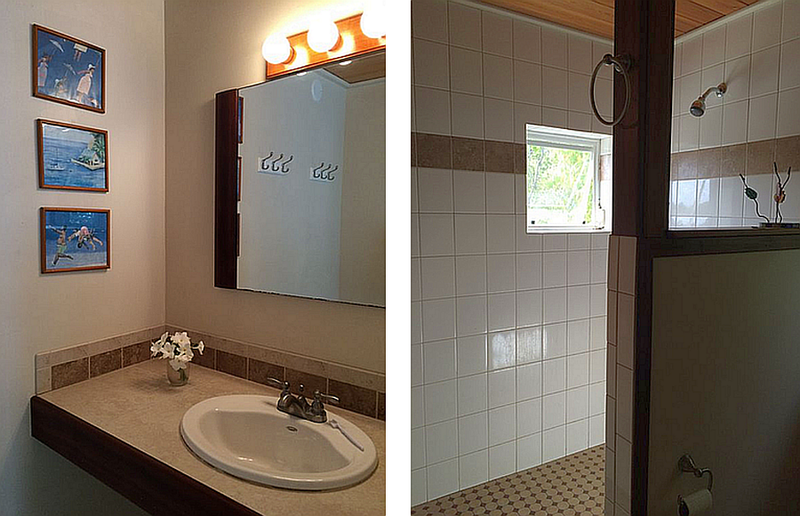 *For 5-8 guests, you will have access to the entire Cottage, both levels. 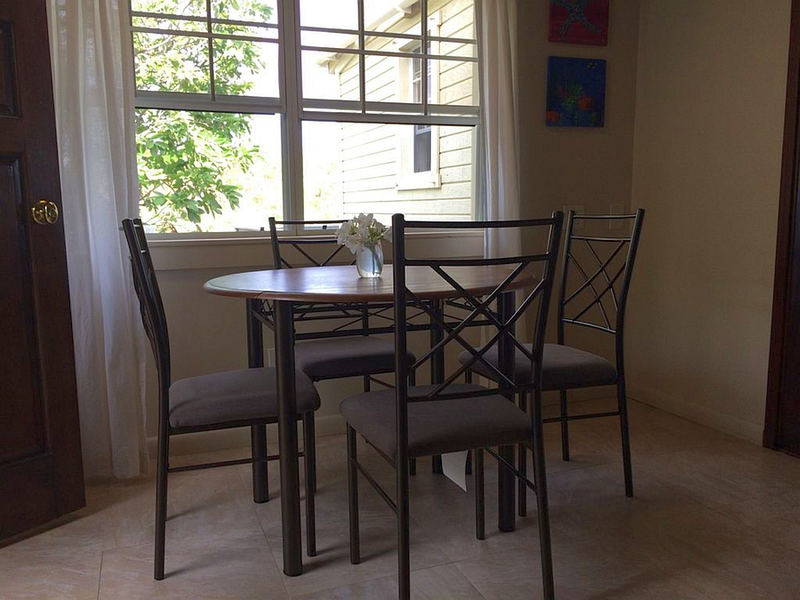 **If you are a group of 1-4 guests and would like to have access to both levels to enjoy all bedrooms, please inquire about this pricing option. Master sitting area and view. 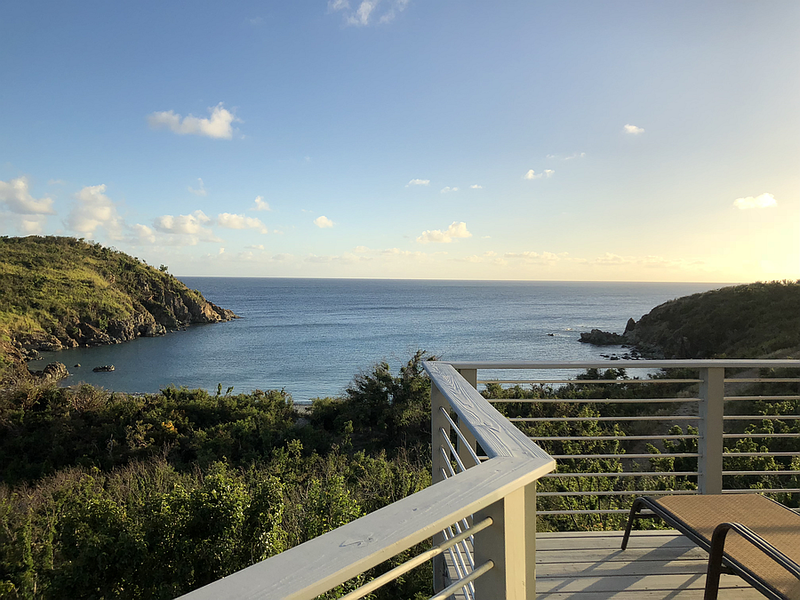 “I just got back from a fantastic stay at Kiddel Bay perch. It was very private and had all the amenities we needed during our stay. Fully equipped kitchen complete with gas grill and even a blender, which we enjoyed very much. The cottage is very basic, no frills. Ideal for the nature lover and to get away from it all. The ceiling fans kept it cool along with the ocean breeze through the screen windows. Can hear the ocean from the house. It has a fantastic view and a million stars come out at night If you are the type of person who likes resorts, this is not the place for you. Little Lameshur Bay a short drive away. 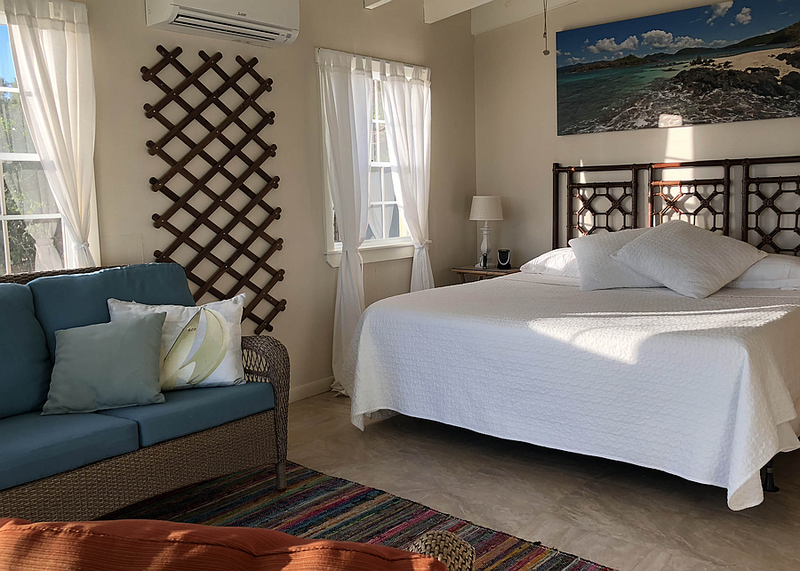 “Yes, it is off the beaten path and it is on the Southeast side of the island which is about a 40-minute drive from the Cruz Bay ferry port. The immediate road leading to Kiddel Perch is rocky, so make sure you rent a jeep, but it is absolutely beautiful and worth the drive. 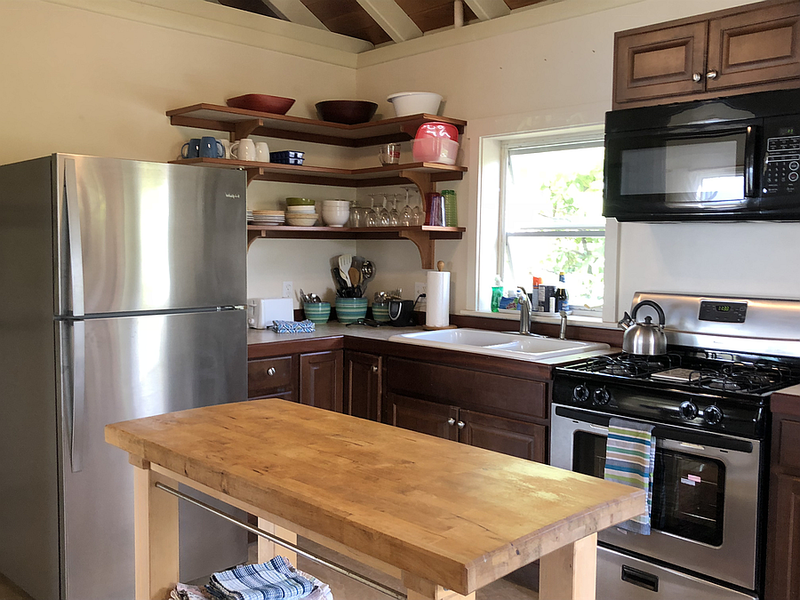 The unit was clean, extremely spacious, the wrap around deck had amazing views, we saw shooting stars at night and clear waters in the day, and it is close to the best eats on the island (miss lucy’s for breakfast and johnny cakes, tourist trap for lobster roll, skinny legs for burgers), about 10 minute drive to Calabash Market for groceries, and about a 2 minute drive to the Saltpond Beach. If you are looking for hotel amenities, this is not the place. There is no A/C but we went in the dead of summer and there was always a nice breeze that kept the place cool along with the ceiling fans in every room. The heat was really not an issue. 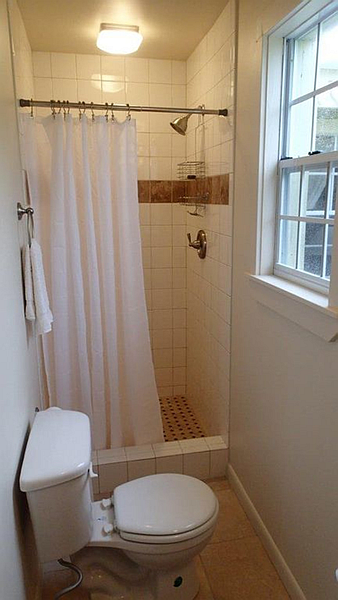 Communicating with the property manager was extremely easy and hassle-free. They provided all the necessary contact information (which we never had to use during our stay as we had no issues) as well as clear driving directions to Kiddel Perch. “We spent 9 relaxing days at Kiddel perch. The house was clean and we enjoyed a nice breeze all vacation long. Definitely rent a jeep to get out here but then again you would be best with a jeep for exploring the whole island anyway. It is a 10 or so minute drive to Calabash market and Coral Bay. There is a nice spot for lunch and delicious drinks 5 minutes away. 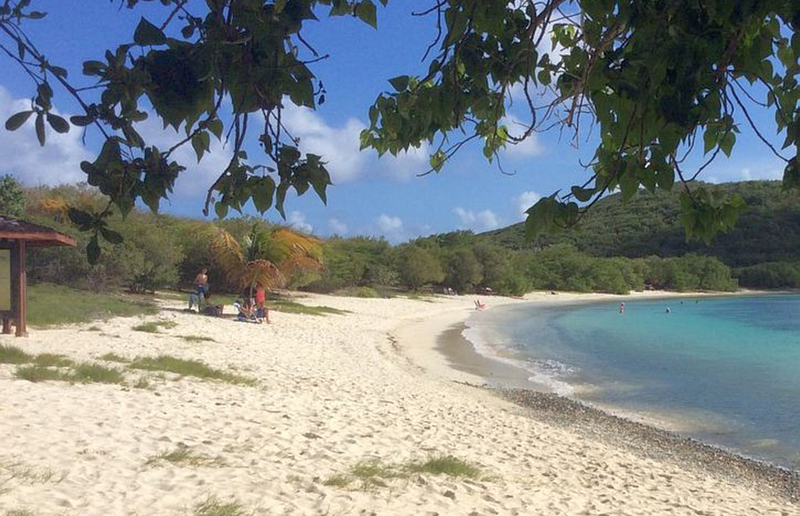 As for the snorkeling, we found Kiddel Bay to be one of the best spots on the island. We saw sea turtles, squid, colorful fish, and coral. Another 5 – 10 minutes down the road is beautiful Lameshur Bay and great hiking trails. I would definitely recommend anyone to stay here. 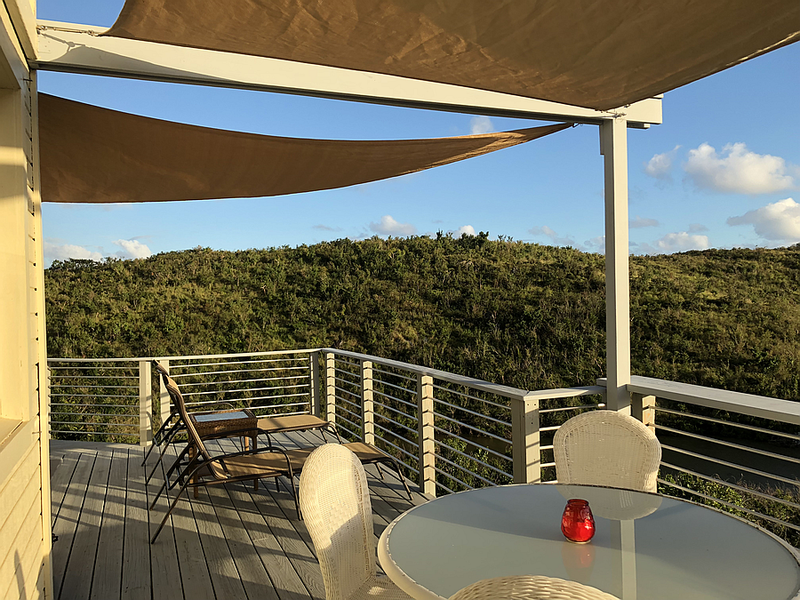 The deck is perfect for evening relaxing (there is a grill) and morning coffee. Wifi worked well, there was a large clean shower, and a comfortable bed to look out at the Caribbean Sea. The skyscape at night is unbelievable.